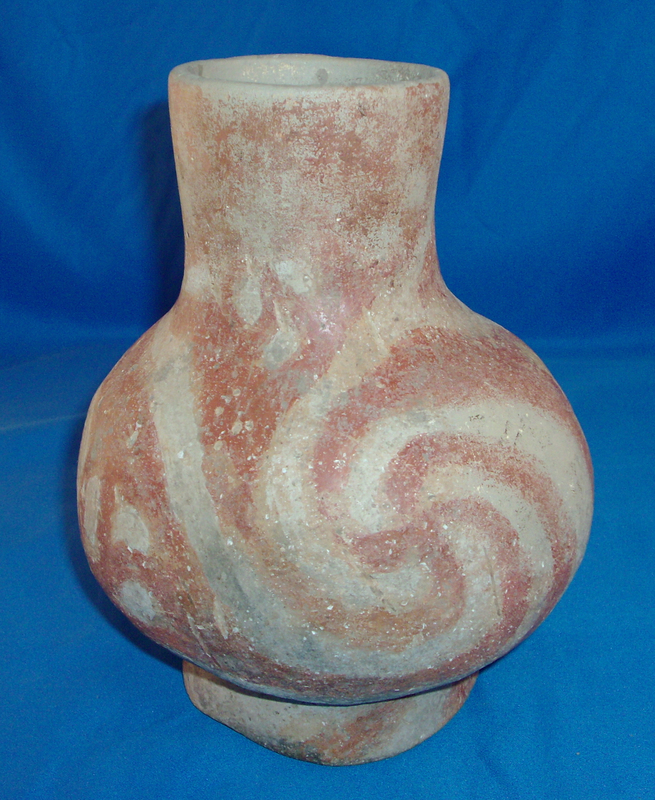 A Large Size, Well Made, Red And White Mississippian Swirl Waterbottle That Exhibits Surface Coloration & Clay Oxidation Style Aging, Correct Bottom Use Wear, Visible Aged Surface Shell Deterioration, Correct Type Paint & Application, Correct Neck Handle Wear, Correct Type Material And Manufacture For The Area Found. This Example Has A Red And White Swirl Decoration From The Neck To The Base And The Bottom. This Is A Highly Collectable Waterbottle With Slight Restoration!